Breakfast has been a popular meal at our house lately, even outside the typical breakfast hours! 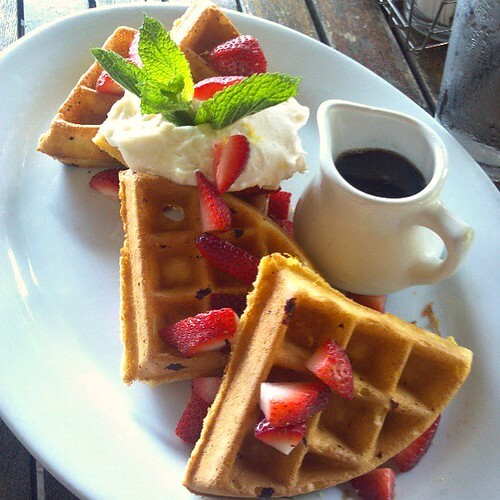 Joel has been slightly obsessed with waffles because he loves how our waffle maker makes such crispy waffles on the outside while being soft and tender inside. Joe's definitely on to something because it's also been fun for me to play with different batters by adding a variety of ingredients! One recent waffle variation we made were these Lemon Thyme Waffles. 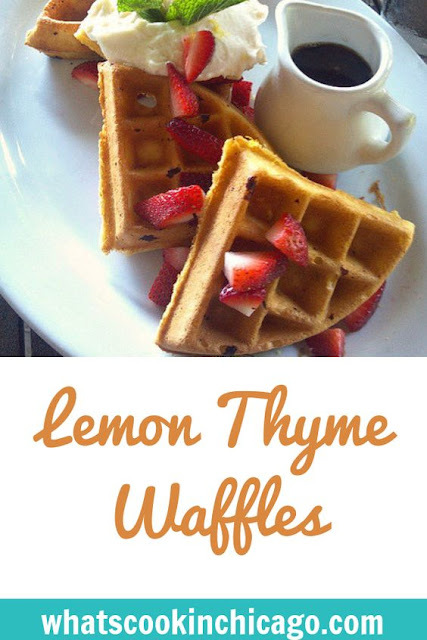 The light waffle batter, thanks to the awesome folks of Krusteaz, is enhanced with fresh thyme from our garden and a nice dose of freshly squeezed lemon juice. Check out our recipe featured on the Krusteaz website here!